What do you really do the ice bucket challenge for? When you do the ALS ice bucket challenge, what are you really doing it for? When you get ALS what happens to you? 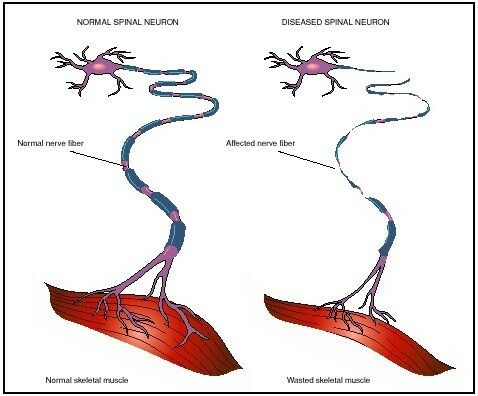 Well when you have ALS otherwise known as, "Lou Gehrig Disease" you have muscle spasticity and rapidly progressive weakness due to muscle wasting. ALS or "Amyotrophic Lateral Sclerosis" is a nervous system disease that causes muscle weakness and impacts physical function. 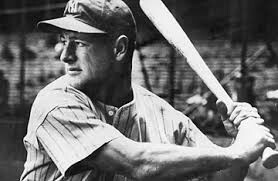 ALS is a name after a famous baseball player had been diagnosed with ALS, his name was Lou Gehrig. Sometimes doctors don't know why ALS occurs. When you have ALS you can't talk, eat, move, or even breathe. ALS does not have a cure and eventually leads to death. ALS causes nerve cells to gradually chip off and die down. Most likely that only 50-70 year old people get this disease. When you do get it starts in your feet, hands or limbs. 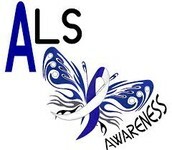 ALS does not affect your thinking and thoughts, you can still keep in touch with friends and family. ALS also does not affect your bladder control. There is no cure for ALS but there are ways of treatment. There is a drug that can slow the disease affection, this drug is called, riluzole. Breathing and physical therapy is a treatment. Nutritional support is also a treatment to help with eating easier and softer foods. Physiological and social support to help with insurance and financial issues. "Amyotrophic Lateral Sclerosis." (ALS) Treatments and Drugs. N.p., n.d. Web. 19 Nov. 2014. "Amyotrophic Lateral Sclerosis." (ALS) Definition. N.p., n.d. Web. 20 Nov. 2014.